UN-SU KIM was born in 1972 in Busan and is the author of several highly praised novels. He has won the Munhakdongne Novel Prize, Korea's most prestigious literary prize, and was nominated for the 2016 Grand Prix de Littérature Policière. The translator, Sora Kim-Russell, is a Korean American living in Seoul, where she teaches translation. "It would be hard to accuse The Plotters, a raucous extravaganza of assassins and lunatics by the lauded Korean writer Un-Su Kim, of conforming to any template." “[A] gripping portrait of a killer for hire …The Plotters is no primer for a visit to Korea. What it does offer is a vivid portrait of a mesmerizing central character — the stoic Reseng. It will also keep readers delightfully off-balance. In The Plotters Kim has mixed bookishness, crackpots and commissioned murder into a rich and unsettling blend." "Pleasingly deadpan, The Plotters manages to be both humorous (Reseng’s cats are called, delightfully, Desk and Lampshade) and violent, and sometimes even wise." "Unpredictable, often grotesquely funny, piled with corpses and dark as a dungeon...The Plotters is also a compulsive page-turner." "The Plotters is deeply funny and, surprisingly, full of heart. There are moments of transcendence and heartbreak mixed in with the knife fights and shootouts, and Kim balances it all beautifully." "The winner of prestigious prizes in Korea, Kim makes his anglophone debut, thanks to Kim-Russell, who captures his dark, dark wit and searing sarcasm in an irresistible sociopolitical parable designed to delight and dismay." "The Plotters subverts every trope of the assassin-for-hire novel. Constantly surprising and darkly funny; surreal, intimate and emotional. I loved it." "In a terrifying, not unimaginable dystopian Seoul, guilds, plotters and assassins jostle for supremacy...Violent, clever and funny, I loved it!" "The Plotters is a surreal story, replete with interior monologue, time shifts, and impossibilities. Part old-school spy thriller, part soul-searching journey, part history lesson, part political education. 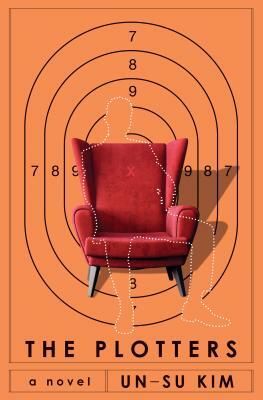 A novel that makes the reader think without leading, allows you to draw your own conclusions while helping you see all the possible angles, is subtle without being esoteric, The Plotters is well worth the read. And quite frankly, we can all benefit from books in translation, now more than ever."